Snow bike "State of the Union"
Since we are only a month away from consistent snow bike riding, let's talk gear. Who is making the perfect snow bike right now? Has the perfect snow bike even been made yet? The five bikes listed below share one common theme; they all have enough clearance to run the 3.7" Endomorph tires. After that, they are very different. The newest snow bike on the market was designed by Alaskans and is being sold through Speedway Cycles in Anchorage, AK. This is the only one so far and was built for 135mm rear spacing to accomodate a Rohloff Speedhub. Thoughts: The 150mm rear hub "might" let you build a non-offset rear wheel and are more common than a 165mm rear hub. DeSalvo does great work but I am guessing this frame would take a year to get and cost about the same as two fully-built Pugsleys. Still, I am drooling. Made by DeSalvo for Wildfire Designs. Thoughts: Very well made frame & fork...but is it worth 2X more than a Pugsley? I like supporting the small builder, it was the lightest available at this time last year, and I definitely wanted vertical dropouts so it was a clear choice for me. Surly was the first company to mass produce a snow bike, rims & tires. Without their gamble on this obscure niche we would still be welding rims together. Thoughts: You can build a damn nice Pugsley for $2K and have an awesome snow bike. And now they come in grey. You could also run a White Brothers carbon fork with 100mm spacing and save 2 lbs! I am just not a fan of the horizontal dropouts. Thoughts: Vicious Cycles was blazing trails and built the Thunderwing before the Pugs came out. Nice! My perfect snow bike frame would be light, have a normal Q-factor, and would allow me to run three chainrings in the front and 6 or 7 cogs in the back. That is plenty in the winter. In the summer it would double as a sweet 29" hardtail without having to build a funky, offset 29" rear wheel like I did for my FatBike. Edit 10-28-07: My comment above about the 165mm rear hub being a "boat anchor" was based on my impression that it was a downhill hub and therefore must be really heavy. Greg from Speedway Cycles posted some great comments including the actual hub weights. The 165mm Hadley and DT Swiss hubs are both lighter than the XT "boat anchors" I am currently running. Ha! Thanks for straightening me out Greg! In between the rounds of 40 degree rain and early snowflakes, we have had some gorgeous fall days and I have tried to take advantage of them. During last week's good weather I rode 6 our of 8 days with every ride falling into the category of simply "fun". It is hard to say which I like the best; mountain bike rides on yellow aspen leaf-covered singletrack or crisp road bike rides where the fall colors sourround you. Last week I realized that I was not as recovered from my 24 hour race as I thought I was. Riding was fun, and I was mentally into it, but I just didn't have much "onion" when I really tried to stomp on it. And for now, that is perfectly fine. My next planned race is in 2008 and a little break would probably do me some good. I may head down to Moab for the WRiad ride on Oct 27th in hopes getting in one more big ride in the sun and meeting a whole pile of great people at the same time. Or, I may stay home, ride a little, and see if I can outsmart the elusive elk this year. I expect the 100-mile version will be incredibly hard and the 25-mile version will challenge those who want to experience snow bike racing without the extreme committment of the 100-mile race. The goals of this non-profit event are to expose more people to snow biking and to have a great time. Mother Nature fired an opening salvo this weekend as a reminder of what is come. When we went to bed last night it was snowing hard and looking very wintry outside. However, the sun is already out and the snow will probably be gone by tomorrow. Perfect. 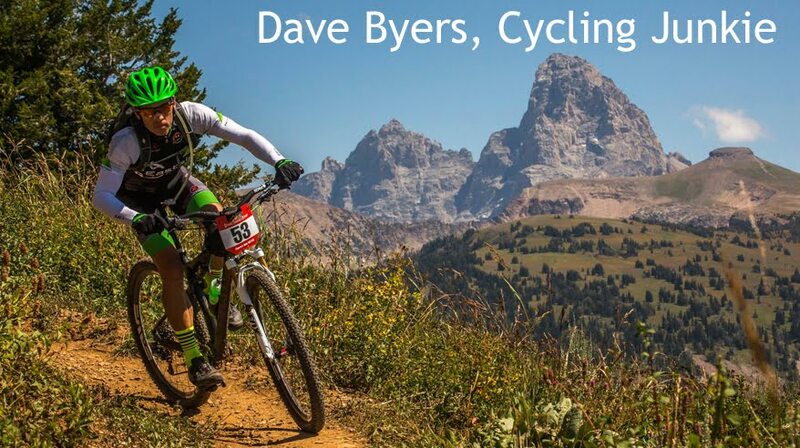 The warming trend forecasted for this week corresponds perfectly with my desire to get back into a riding groove as I have only ridden sporadically since the Targhee 24 Hour race. Cycling has still been front and center though. The planning for a January snow bike race took a big leap forward this past week and I hope to make it official very soon. One issue I go back and forth on is how much support to provide during the race. Melting snow for water will be an issue for the 100-mile racers. Option #1 - Offer no suppport but allow racers to use any resources found along the route. 25-mile racers will have no resources and 100-mile racers will travel near a cluster of lodges at about the 70-mile mark. Option #2 - Offer one aid station each for the the 25-mile and the 100-mile racers. Try to position the aid stations at roughly the half-way point on each course. Option #3 - Offer an aid station for the 25-mile racers only at roughly the half-way point on the course. Treat the 100-mile race as a 100% self supported race.